The Philadelphia District Attorney’s Office announced today that they would cease to pursue a death penalty conviction for Mumia Abu-Jamal. 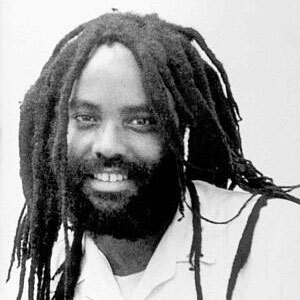 As a result, Mumia’s sentence has been commuted to life imprisonment without the possibility of parole. In 2001, Judge William Yohn, a federal district judge, threw out Mumia’s death penalty conviction because of improper jury instruction during the original trial. Today’s ruling ends the process that began with that case and passed through a number of appeals, desperate attempts by the Philly DA to reinstate the death penalty and murder Mumia. Both the Third Circuit Court of Appeals and the Supreme Court agreed that Mumia must either be given a new sentencing hearing if the death penalty was to be reinstated, or have his sentence commuted to life imprisonment. A new sentencing hearing was a dangerous gamble for the DA, as it would give Mumia’s lawyers a chance to expose other flawed elements of the original trial. Unable to kill Mumia, Philadelphia “authorities” are now content to keep him locked in prison for the rest of his natural life. While this decision saves Mumia from death row, it still leaves him trapped in prison for a crime he did not commit. Mumia was convicted of the 1981 murder of Philadelphia police officer Daniel Faulkner, but since the original 1982 trial a large amount of evidence has accumulated pointing directly to Mumia’s innocence. The district attorney still maintains there was eyewitness testimony that Mumia killed Faulkner. In truth, none of the eyewitnesses claimed to have seen Mumia kill Faulkner; instead, they gave inconsistent, confused accounts of the events. Further, the key prosecution witness, Cynthia White, was revealed to have not even been at the scene by further witness testimony. Veronica Jones, another witness in the original trial, courageously came forward in later years to reveal intimidation in the original trial by the police and judge. The prosecution claims that Mumia confessed in the hospital; however, the two supposed witnesses to the confession where not present at the time they claim the confession took place. Also contrary to prosecution claims, there was never any sort of exact match between Mumia’s gun and the bullets that killed Faulkner. Mumia is innocent! Known as the “Voice of the Voiceless,” Mumia was a long-time Philadelphia activist, by that time was an award-winning journalist known for taking the side of those attacked by the capitalist elites. By pinning the murder of Officer Faulkner on Mumia, Philadelphia’s notoriously corrupt police and political establishment thought they could silence his voice. However, since that original trial, hundreds of thousands of people have flocked to Mumia’s cause. His case became the center of the struggle against the racist, anti-worker death penalty. The massive amounts of attention generated by this mass movement, and the dedicated legal work of many, has frustrated the attempts to murder Mumia. It has made his name, writings and speeches well known, amplifying a voice the powerful hoped to never hear again. We must continue to fight the lies and slanders against Mumia and assert his innocence. Whatever the situation in the legal arena, we need to raise the struggle to free Mumia, along with all political prisoners, as a crucial element in the struggle against the capitalist elites. Frame-ups and sham executions are a weapon used against mass movements of the people that challenge the powerful. The entire “law-and-order” police establishment that tramples on rights, frames up activists and imprisons millions of working-class people of color is a scourge facing the struggle against the powerful few dominating and oppression society, and it must be fought viciously. We must intensify the struggle to free Mumia Abu-Jamal.